Emily R. Brink is a Senior Research Fellow of the Calvin Institute of Christian Worship and Adjunct Professor of Church Music and Worship at Calvin Theological Seminary, Grand Rapids, Michigan. Her main areas of responsibility are conference planning and global resources. She is program manager of the annual Calvin Symposium on Worship, which draws more than 70 presenters and 1600 participants from around the world. She also travels widely to lecture and to learn about worship in different parts of the world, especially in Asia, where she has lectured in Bangladesh, China, Hong Kong, India, Indonesia, Japan, Nepal, Pakistan, Philippines, Singapore, and Taiwan. Her areas of interest include congregational song from all times and places; psalmody; hymnal editing. She was editor of four hymnals and consults with a wide range of churches on worship renewal issues. Dr. 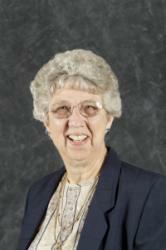 Brink is active in the American Guild of Organists, serving in both local and national offices, as well as in the Hymn Society in the United States and Canada (president from 1990 1992) and named a Fellow of the Hymn Society in 2004 in recognition of distinguished services to hymnody and hymnology.